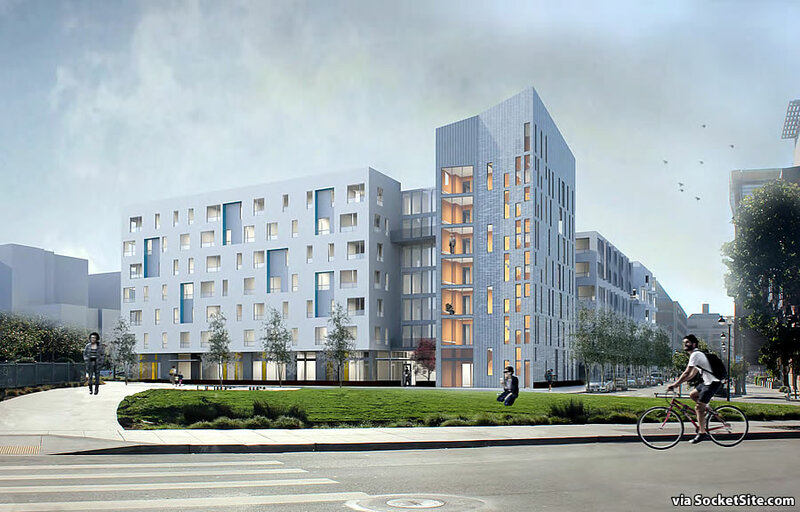 And assuming the plans for Mission Bay South Block 6W are approved as proposed, Mercy is planning to apply for financing by the end of the year and start construction in the first half of 2019, finishing in mid-2021. The financing for the development is now on track to be secured by February of 2019, with construction expected to commence within 30 days of its closing and the building, which will be known as 691 China Basin Street, to be completed by December of 2020. And with a total projected project cost of roughly $115 million, including both hard and soft costs, call it $756,579 per dwelling unit, roughly $391,156 per bedroom (counting the ten studios as ones), or $614 per gross square foot for the development overall. Interesting. I am always interested in knowing the true per unit/bedroom cost of new construction. And then use all available technology and construction advances, 3D modeling, design, and build off-site, modular) to beat those initial estimated costs and be able to deliver a superior product. Land costs are fixed but the other costs can be reduced by streamlining and reducing unnecessary bureaucratic regulation and inefficiencies. In other words, can these units, for example, be built for under $641 per sq ft with higher quality materials and design? 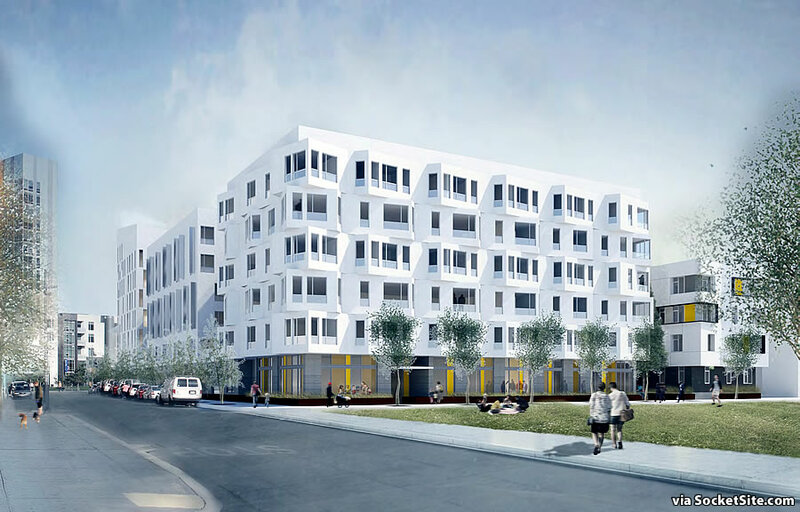 What would encourage quality discussion on increased density is a projection for the marginal cost of adding an extra floor to the proposed plan, and the marginal cost per unit for the additional units generated. 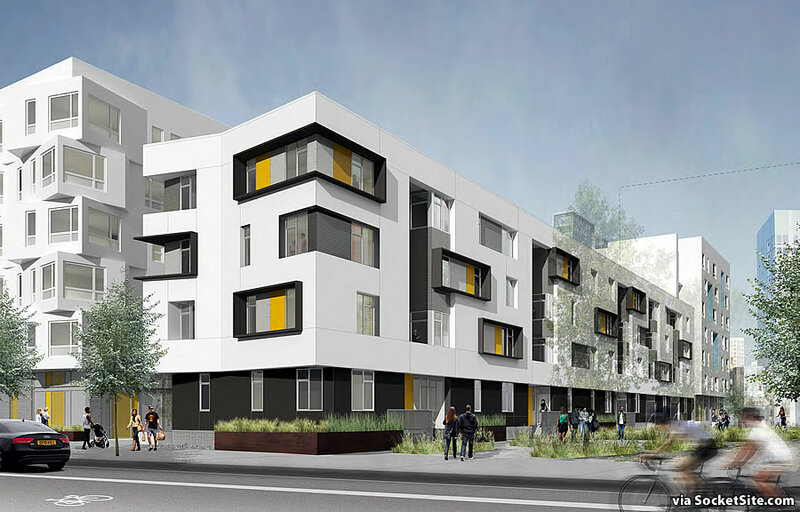 This “affordable” project — at a construction cost of $641/sf (land value is $0) — is costing over 60% more than a comparable market rate project. If this was a market rate project and the cost to build it was over $400/sf, it wouldn’t get built. What a hodge podge of styles. Studio Vara does good work, but this is really odd. Perhaps its their partner, Paulette Tagart that is influencing them. Anyway, hope it gets built to help house folks. I like it—the white building with turned windows reminds me of a cheaper version of the Studio Gang tower on Folsom. Am always impressed with affordable buildings look more interesting than much of the market-rate crap going up in SoMa and Mission Bay. 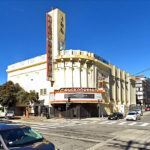 Technically, while the stated project cost and budget above includes both the cost of acquiring the land and constructing the building, the effective land basis for this development, as a former Redevelopment Agency parcel, is zero. So this is only for construction costs, labor and materials. Quite an expensive project. Everyone knows how to overspend, but how many can come in well under budget? Or build twice as much for the same amount? We marvel at how federal contractors can bill the government $600 for a toilet seat. And by way comparison, leading urban economists Glaeser and Gyourko recently estimated that the average cost of constructing ordinary-quality new housing nationwide is about $85/square foot, with little variance across cities or regions, and little change over time. Multi-unit buildings over a concrete podium are probably somewhat more expensive to build, but something is very out of whack in San Francisco…and not just the supply constraints (which should affect land values but not construction costs net of land value). Keep in mind that figure was for a one-story, single family home with one full bathroom and mass produced, out of wood, from stock plans. And other than academically, good luck actually building in any major city for anything near $85 per square foot (much less in a city with above-average seismic, environmental and labor concerns). You can build and deliver new single-family homes in Texas suburbs for under $100/sf. The idea that the taxpayers should award a select few, with a $756,000 sweepstakes win, that is denied everyone else, is so unfair. Talk about SPECIAL PRIViLEGES. That’s one way to look at it. Another way to look at it is the improvement that the rebuilding of the HOPE sites brings to the city, and the calculus that goes along with that process.